the reason behind this strange little fact is all to do with the speed at which venus spins and it’s proximity to the sun. the first factor to think about is the length of a venusian year. the length of a year is defined by how long is takes a planet to go entirely around the sun one time. 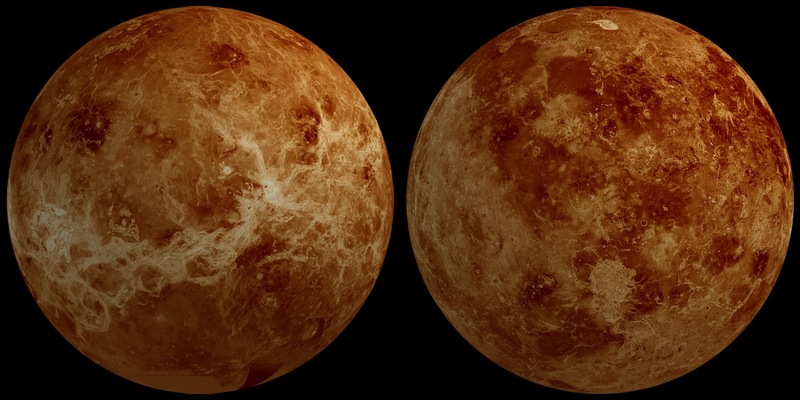 venus is 67.2million miles from the sun (earth is 93million miles away from the sun) which means that it makes its way around the sun quite a lot quicker than we do here on earth … the result is a year that is just 225 earth days long. right, understanding of a venusian year in the bag 😏 now for a venusian day. as you know, the length of a ‘day’ is determined by how long it takes a planet to do one complete rotation. whilst venus overachieves in getting around the sun quickly, it drastically underachieves when it comes to spinning around. in fact, each day on venus is 243 earth days long! (that’s a real long day at work 😅). how crazy is that?! a day is 243 earth days long but a year is 225?! every year on venus is 18 earth days shorter than each day is 🙃. the similar length of both year and day also means that the sun rises only two times a year on venus 😱. personally, i think there may have once been life on venus but the ridiculously long shifts wiped them all out! 😂 … to make up for that awful attempt at a joke, here’s a bonus fact 😎 – venus rotates the opposite way to the earth meaning that the sun rises in the west and sets in east.